Shaped as a grogger, this unique baby Talisman is made of silver. The amulet is inscribed with "Ben Porat Yosef" and the three letter sequence in Hebrew - Alef-Lamed-Dalet to provide protection from the evil eye. According to jewish tradition, the angel micheal is seen as the sun of god. talisman is offered to The mother and baby on the 6th or 7th night Following the baby's birth. Shaped as a grogger, this unique baby Talisman is made of silver. The amulet is inscribed with "Ben Porat Yosef" and the three letter sequence in Hebrew - Alef-Lamed-Dalet to provide protection from the evil eye. According to jewish tradition, the angel micheal is seen as the sun of god. talisman is offered to The mother and baby on the 6th or 7th night Following the baby's birth. In the past the talisman was placed on a cloth close to the Heart . we recommended to hang it on the bed. Talismans included elements to preserve, protect against the Evil Eye, Improve health and harmony. Mazal Tov! (means Congratulations in Hebrew). Shaped as a grogger, this unique baby Talisman is made of silver. 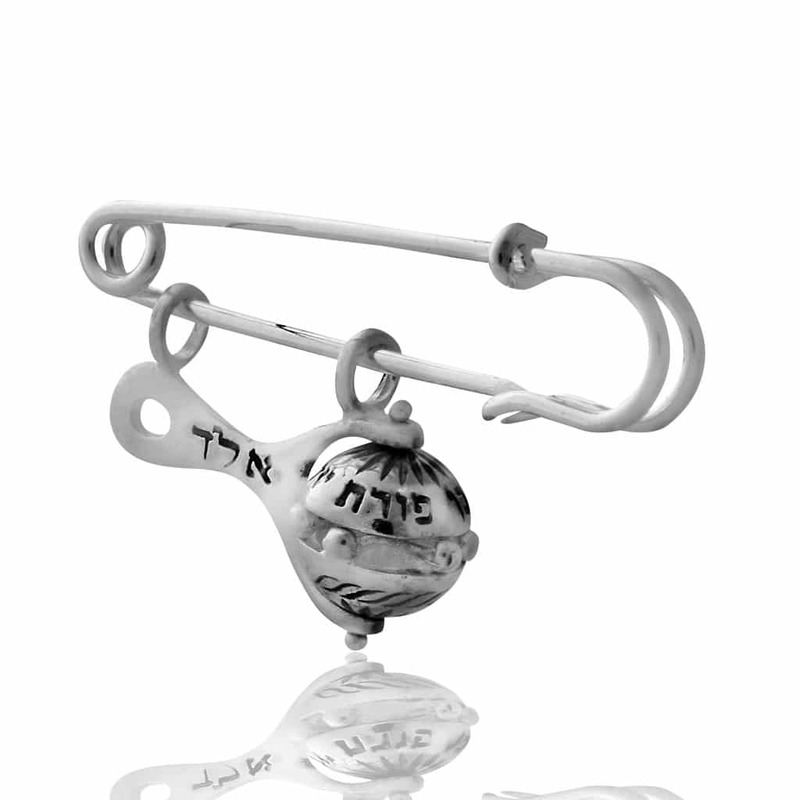 The amulet is inscribed with “Ben Porat Yosef” and the three letter sequence in Hebrew – Alef-Lamed-Dalet to provide protection from the evil eye. According to jewish tradition, the angel micheal is seen as the sun of god. talisman is offered to The mother and baby on the 6th or 7th night Following the baby’s birth. Mazal Tov! (means Congratulations in Hebrew).